Ev just stumbled across blog as a bar drink in USENET archives. 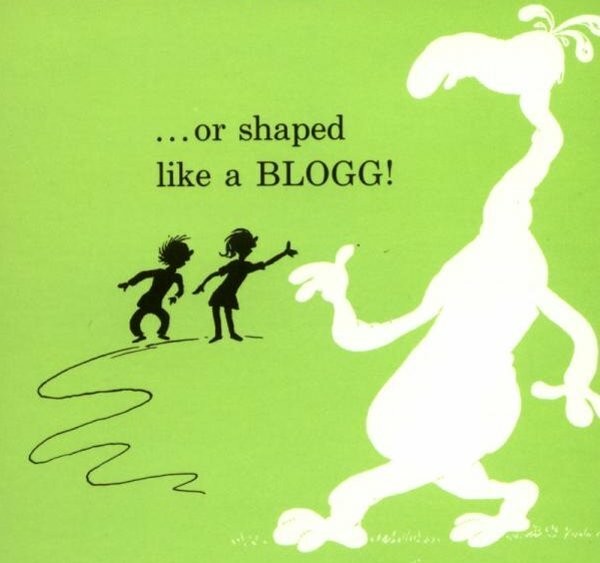 Meanwhile, I've been meaning to post the above image of a BLOGG creature dreamt up by Dr. Seuss in The Shape of Me and Other Stuff. Perhaps there are other future product names in this list of all Dr. Seuss creatures. I'll have a blog please.